A Plus Dental - Dental Insurance: Use It or Lose It! A Plus Dental – Dental Insurance: Use It or Lose It! And that saying applies to your dental insurance benefits as well. Every December, smart patients who want to maximise their remaining dental insurance benefits before the New Year give us a visit at A Plus Dental. This is because the typical insurance plan rolls over on January 1, and unused benefits from the previous calendar year are lost. And this is important for you, because it means, if you have benefits still available, you have an excellent opportunity to save some money and improve your dental health! Why is it essential to maximise the benefits of your dental insurance? It’s all about the money! Your dental insurance sets aside a particular amount of money each year to assist in paying for any procedures you may need. By addressing outstanding dental work before the New Year, you have a better chance of not having to open your own wallet next year if a more serious problem should arise. If you delay dental work until 2019, you may also not be taking advantage of deductibles you have already paid in 2018. A deductible is the amount of money you spend out of pocket before the insurance company pays for dental treatments. These deductibles reset each year. Once you have paid your deductible, any dental work required by the end of the year does not require a new deductible payment, but if you put it off to the next year, you will have to pay the deductible before your insurance coverage kicks in. Dental problems keep worsening. You know you have a cavity, a chipped tooth, or need a crown, but the thought of taking the time to address it may seem difficult, even more difficult in the hustle and bustle of the end of the year. The problem is, that if you don’t get these things treated, you’re risking your dental health. When your condition worsens, the cost to fix it will increase along with the pain and damage. Dental issues don’t just disappear. Learn how much your insurance provider will pay annually and plan accordingly. More about the money! Not using all of your benefits is literally leaving money behind. For example, imagine your insurance allows a $1000 yearly maximum benefit. If you only use $200 of this you will not receive $1800 the following year. Your insurance resets to $1000 instead. If you need dental work, find out what your maximum benefit is and go forward in getting what you need! Prices go up. The only thing that doesn’t change in healthcare is that there are changes in the healthcare system and coverage. All of your current benefits and pricing now may change next year. At A Plus Dental, we strive to provide excellent treatment at a great price, but our pricing for services inevitably varies due to cost of living, materials, and equipment. Take advantage of today’s prices while you can! At A Plus Dental, we can offer you two kinds of late-year treatment. Routine checkups. Most insurance plans cover at least two checkups a year at six-month intervals. 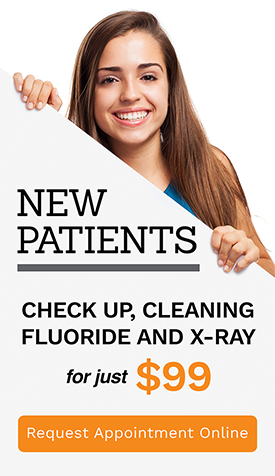 So, if you haven’t had a cleaning recently, now is a great time to set up an appointment at A Plus Dental. Regular checkups ensure your teeth and gums are in optimal shape and gives us a chance to check your oral health to be certain problems aren’t developing. As a bonus, you get a professionally cleaned and polished smile, which can have you radiant and confident for the holidays and New Year to come. Large treatments. If you need extensive dental procedures across multiple visits, the end of the year is the perfect time to get started. This is especially true if you’ve already paid your deductible and haven’t hit the limits of your coverage. Once your deductible is paid, your out-of-pocket expenses can drop dramatically for more intensive dental treatments. If you’re approaching your annual maximum, we can help build a plan to maximise your benefits by splitting your treatment over two years, allowing you to utilise benefits remaining this year and use your renewed benefits after the new year. 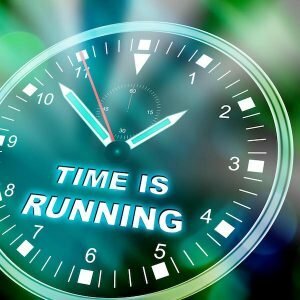 Don’t let your 2018 dental benefits go to waste by not using them before the New Year! Schedule an appointment with your A Plus Dental dentist to get started. A Plus Dental believes in honesty, trust, individuality, compassion and comfort. Our goal is to give our Campbelltown area patients, from infants to seniors, caring, relaxing treatments in a comfortable environment. Children’s Week, And A Lifetime Of Dental Health At A Plus Dental!